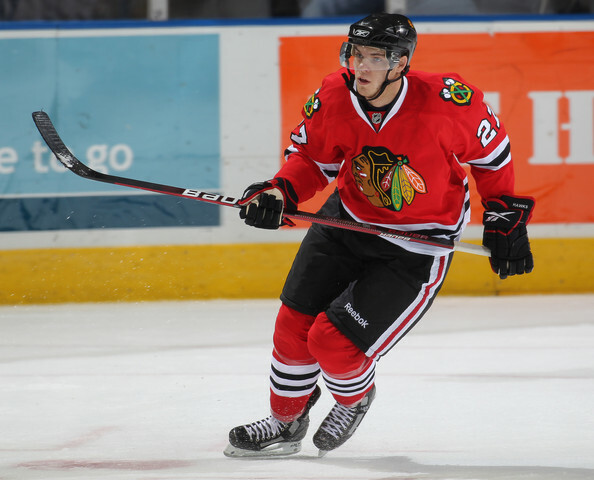 In a move that is surprising because it is… surprising… the Chicago Blackhawks have sent 19-year-old forward Jeremy Morin to Rockford of the AHL. Morin was the centerpiece of the summer blockbuster that sent Dustin Byfuglien, Ben Eager, Brent Sopel and Akim Aliu to Atlanta. Considered a solid prospect, Morin earned an invite to NHL training camp after a strong showing at the prospect camp in July. Most thought his time in Chicago would be brief. But after a stellar effort that produced four points and earned him ice time with Patrick Kane and Patrick Sharp in Sunday’s preseason finale, Morin turned enough heads that he lasted longer in Chicago than other top prospects, including Kyle Beach. The move to send Morin to Rockford undoubtedly is to get the teenager more experience and consistent ice time, but he had clearly jumped to the top of the organization’s forward list after his production against NHL talent. Morin’s time will come, thats obvious. Hell, it may even be before the season is up. I just knew the coaching staff was going with a vet roster. C) the Blackhawks formally announced it an hour after I posted this.